Bullying has become a hot topic of conversation recently which has prompted us to create a post on how to deal with bullying. We have witnessed through the details of various news stories what it can do to people and how it can literally destroy lives. Interestingly enough, there hasn’t been a lot of talk that bullying has been a predisposition for the human experience as far back as recorded history began. Individuals have bullied other individuals, groups and tribes have bullied other groups and tribes. On a larger scale, kingdoms and nations have been bullying other nations for the last 3,000 years. So, the one question we may want to ask is : ‘why the sudden interest in bullying in our schools specifically and our world at large?’ The answer is that on a deeper, spiritual level, bullying has gained attention because we as a society are beginning to realize that it does not have a place in our evolution as humans if we truly want to survive and co-exist. How To Deal With Bullying Step 1: Take a moment and examine where you see bullying in your world. The ability to recognize bullying will help you develop methods on how to deal with bullying. Most of us have witnessed bullying as children in school, in the playground or on the streets of the town or city we live in. Bullying also exists in so-called intimate relationships between two adults. It is prevalent between parent and child as well. Less talked about is bullying in the workplace by superiors, co-workers and business competitors. We are well taught that bullying gets successful results and if we want to make it in this world, we have to crush the competition. 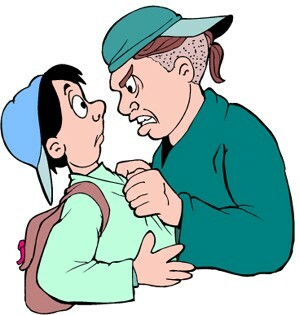 Until recently, bullying had been considered acceptable behavior. Not so anymore! Now that we know it’s not acceptable behavior, it’s important we take to time to learn how to deal with bullying. Whatever the ramifications have been from bullying throughout history, some form of justification of this behavior has always found its way into the mainstream and became the norm. We have arrived at a place in history where we are awakening to the realization that the way we were taught to survive in this world can no longer stand up to the test of time. In fact, time may be running out if we do not commit to making changes personally, nationally and globally. On any level, bullying is about control. It is about the bully making him or herself feeling better emotionally at the expense of another person. Bullies pride themselves on using fear as their trump card. Fear is the basis of control: intimidation; the need to be right; and the desire to feel worthy and accepted. The truth is that bullies need to bully because they feel so bad about themselves. Bullying at its deepest, purely spiritual level, is a cry for love, forgiveness and compassion. How To Deal With Bullying Step 2: This may be difficult to accept when you are the victim of bullying at its most malicious. We have recently witnessed how extreme the maliciousness can be. Typically, as a victim of bullying, most of us are only thinking about how we can avoid being bullied, how we can stop it, and even how we can achieve retribution and revenge. In my life I have been both the bully and bullied. I have experienced both perspectives, both ends of this painful stick. As a Life Coach, Relationship Coach and Business Coach, I have witnessed countless interactions involving bullying between individuals, family members, businesses and corporations. In order to end bullying as a commonplace occurrence in our world we have to know why it occurs in the first place. You cannot eliminate any disease, either physical or emotional, without knowing its origin or cause. Bullying is a signal that emotional pain is dominant. To move forward, we must understand that both bully and victim hold some sort of emotional pain that is inextricably linked. They have more in common with each other than meets the eye. Both feel insecure, unworthy and fearful that life will let them down. One reacts, the other retreats. One needs to defend, the other feels utterly defenseless. It is an unusual partnership to say the least. Yet, in my personal and professional experience it sets the stage for positive change and growth. In order to move beyond the roles of bully and victim we must commit to heal. As someone who has personally healed (and is still going through the process), and as a conduit who assists others to do the same, I firmly believe that it is important for us to continue to focus on this subject. Healing holds the key to understanding what is required of us as human beings both individually and as a collective to create true inner peace. A world of beings who feel and live through inner peace cannot act out the roles of bully and bullied. When each of us makes a commitment to emotionally heal and acknowledge that we spend most of our waking moments in emotional pain, then and only then will we find true fulfillment from life. Personally and professionally, I am excited to see the subject of bullying receiving media attention. A heightened awareness factor is the first step toward positive change, another key in our efforts concerning how to deal with bullying. With your participation and mine, we can each contribute creating a world where feeling good about ourselves doesn’t have to be at the expense of another person. Start and end with yourself and lead by example. If you find you cannot release emotional pain on your own, seek professional assistance and guidance. If you are a bully and continue to use bullying tactics to get what you want, you will never feel peace and happiness. Likewise, if you continue to be the recipient of bullying, you too, will never feel peace and happiness. The time to heal and create change is now. Let us know how you feel, what your thoughts are and how we can help. Have you read our other article about: Bullying: 7 Ways to End it Now! I was bullied for 3 years straight. It started in 6th grade and finally ended in 8th grade. I thought I was fine even though I was depressed and mad the whole time. Almost every night I cry myself to sleep remembering everything. I’m a 9th grader now and it doesn’t seem to get easier or for the pain to go away. I don’t knnow how to get rid of the emotional pain that they caused me. I need to know how to get rid of the pain. We both understand first hand what you are going through because we were both bullied at about the same age. It may help to understand that the past is over, and gratefully so, the bullying has stopped too. If you are running the memories through your mind every night and crying about it every night, you are allowing yourself to re-live the past. This continues to give the bullies the power over you. What had happened is over. Now it’s time to take your power back by focusing on how special and unique you are. Also, please understand that no matter how painful the bullying was, it was never really about you (even though it seems to be). When someone bullies you, it is because they are unhappy with themselves and they take it out on someone else. They most likely saw something special in you that they were envious of! I am 24 and my bully came from a place that is supposed to make me feel safe and secure… He came from home, my uncle. I grew up with a single mother who was always at work. So the people I turned to for anything were my uncles and aunties… I remember being made fun of for because I wasn’t tough enough, or had many girlfriends or acting slightly feminine. My uncle never failed to call me out about it in front of guests at family parties. Almost everytime I was pushed to stay with my uncle, I would always get made fun of for one reason or another. Many of the male figures in my family expected me to be as tough as they but its not who I am. This affects me now because at work, I feel like I cannot develop a friendship with people because I feel I am not good enough. I feel as though I carry an that insecurity of being made fun of or losing the people I am currently friends with because they’d be embarassed to hang out with the guy that gets picked on. I am unsure of who to reach out to because I feel singled out in my family and no one can seem to relate. We appreciate your sharing of your story. It’s a story we have heard time and time again over the years in our coaching practice. Do not despair because we want you to know that this experience you have been going through since childhood serves a very real, positive purpose. Now we understand that you may not be able to see or even feel that purpose right now while you are feeling insecure, unworthy and undeserving of being happy. Francis, believe it or not, at the deepest level, we all have what are called ‘life lessons.’ What you have been living is your life lesson. A life lesson is a real opportunity to become the person we were intended to be in this lifetime! Part of your lesson is to realize that you have given your power away to other people and that in order to be happy, successful and at peace with yourself and your world you will want to begin the process of taking your power back. This may be difficult at best right now for you to comprehend; however, know that it is possible to drastically change your life and your current circumstances. Let us know if there is any way we can assist you and please feel free to contact us with any questions, concerns or fears you may have or encounter. The first thing any person should do when they start out on a journey to correct a wrong is write their feelings down. After you have done this read psychology text books about insecurity. You will find your uncles behavior in there. You can see him being crazy, then you need to confront him. If you need to take several witnesses for support. you can notify the police that u r going over there ahead of time. good luck. What, this is an article on “how to deal with” bullying? NO, it isn’t. It’s how to get your mindset right. Okay, my mindset is right. Now, some actual HOW-TOs are in order. Is the web site bullying me into thinking that all the mumbo jumbo about bullying through the ages constitutes help? It doesn’t. I’ll keep looking, it must be somewhere. Thank you for your comment. We feel that a major component to healing from bullying and/or being a bully IS about mindset. A “sound” mind which resides in a grounded person has no need to bully and is not the recipient of bullying. It appears that you play the “victim” role very well, even to the point that you are being bullied by this blog post. Perhaps you may want to examine you and how you play that role to your advantage. Are you seeking assistance in this area? Let us know. You can email us directly. I’m being bullied and its been going on for almost a year. I’m really frightened, I live in the same building as this person. I have told management but this is the second time I’ve told them. He does have someone on his side and she has lectured me the first time I tried confronting him. I’m getting to the point where I want to move! I dont really have the means to do it right now, I feel so ganged up on. We are glad you are reaching out. What is the nature of the bullying and why did it begin in the first place? If he has threatened you with physical harm then you may want to contact your local law enforcement. Hi. I’m married to an although loving man, one who does not face conflict and shys away at my expense. I’ve married into a family where for 17 years I’ve been been bullied by his mother and spoken poorly about by other members of his family. The result of this behaviour of others and my inability at the time to speak for myself has does some severe emotional damage. I have anxiety that they will continue although I’ve confronted them. This has developed into anxiety that my husband will continue to not support me and assist in confronting it. It’s damaged my relationship with him and now I don’t want any connection with the external family and am losing interest and lost trust with him. I’m seeing a therapist but it does not seem to help as I’m afraid of them.